The H2n comes with everything you need to get started right away. 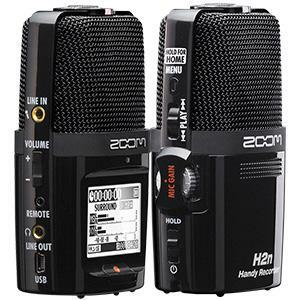 Zoom’s H2n Handy Recorder is the only portable device to come with five built-in microphones and four different recording modes: X/Y, Mid-Side, 2-channel surround and 4-channel surround. The H2n can handle just about anything from live concert and rehearsal recording to location videography. It’s also a great choice for generating lasting audio documents of important events like lectures, meetings, weddings, and parties. 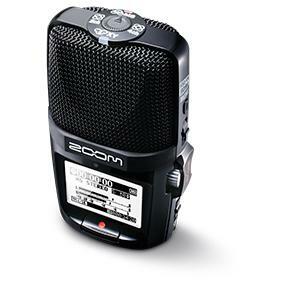 The Zoom H2n is the only handheld recorder perfect for the creation of 360-degree ‘Spatial Audio’ VR audio files native to the Google Jump Virtual Reality Platform. The H2n offers a variety of inputs and outputs for flexibility in recording. There’s a Line In jack that can accept two channels of mic- and/or line-level signals (including microphones requiring plug-in power), as well as a stereo line out / headphone jack with a dedicated volume control. There’s even a built-in speaker for fast monitoring without the need to make any connections. In addition, the H2n’s USB port allows recorded files to be imported into computer editing software such as the supplied WaveLab LE. You can even use the H2n as a 2-in/2-out audio interface or as a USB microphone. X/Y recording provides a great way to cover a wide area while still capturing sound sources in the center with clarity and definition. 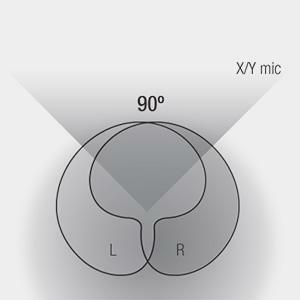 The H2n’s built-in X/Y microphone provides two matched unidirectional mic elements set at a 90 degree angle relative to one another. 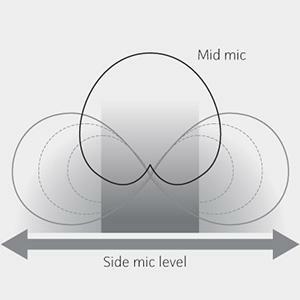 The ‘Mid’ microphone element in the H2n’s MS mic picks up signal coming from directly in front, while the ‘Side’ mics capture the sounds coming from the left and right. You can then adjust the relative level of each, either during recording or during post-production, to alter the stereo width while still maintaining perfect mono compatibility. 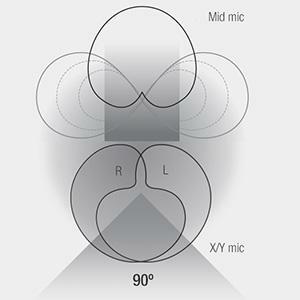 The H2n allows you to combine the signals from both the X/Y and MS microphones in order to create two- or four-channel surround sound recordings that capture everything you hear, not just those sounds coming from in front of you, but from all directions.